Michael’s experience will provide the launching pad SynCardia needs to serve more of the world’s top transplant centers and their patients. SynCardia Systems, Inc. (http://www.syncardia.com), manufacturer of the SynCardia temporary Total Artificial Heart, announced today that Michael Garippa, the CEO and President of TandemHeart for the last 8 years, has left the company to become SynCardia’s new president. Rodger Ford will continue as SynCardia’s CEO, concentrating on business development, while Mr. Garippa focuses on sales, clinical support, training and marketing. Mr. Garippa was recruited by TandemHeart in 2002 as a turnaround expert and stayed on as CEO and President. He took the company from an R&D firm that had lost an aggregate of $50 million and had no commercial sales to a successful company with over $6 million in net income in the past 24 months. The TandemHeart, which provides short-term extracorporeal circulatory support, is currently being used in more than 125 of the top cardiac centers in the U.S. as recognized by U.S. News & World Report. “The Total Artificial Heart has no equal,” said Mr. Garippa. “It is the only FDA, Health Canada and CE approved Total Artificial Heart in the world. There is no other approved device that provides biventricular replacement for patients with both sides of their heart failing. 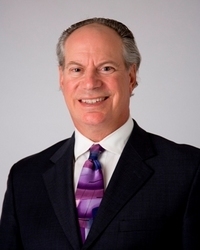 Prior to joining TandemHeart, Mr. Garippa served as CEO and President of Gateway HomeCare. In addition, Mr. Garippa was Founder and CEO of Millennium HomeCare and The Prompt Care Companies. His background also includes being National Sales Manager at Omni Medical and Senior Analyst with the NYC Health and Hospitals Corporation. Mr. Garippa has a master’s degree from New York University and a Bachelor of Arts degree from Rutgers University. 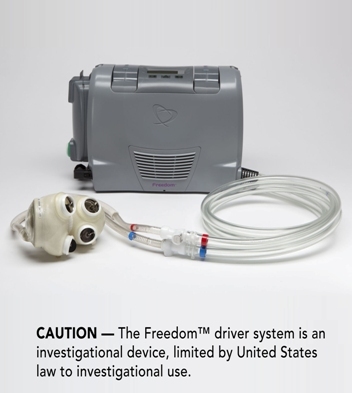 *Through the IDE clinical study, stable Total Artificial Heart patients who meet study criteria may have the option to be discharged from the hospital with the Freedom portable driver, to wait for their matching donor heart at home and in their communities. SynCardia Systems, Inc. is the Tucson-based manufacturer of the world’s only FDA, Health Canada and CE approved Total Artificial Heart: the SynCardia temporary Total Artificial Heart. There have been more than 850 implants of the Total Artificial Heart, accounting for more than 190 patient years of life on the device. 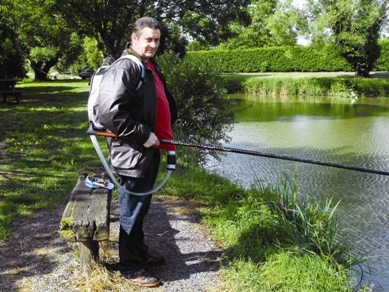 The Freedom portable driver and the SynCardia temporary Total Artificial Heart Total Artificial Heart patient Eric Quantin goes fishing with his Freedom driver in his backpack. 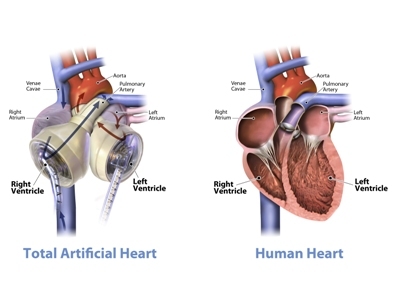 Similar to a heart transplant, the Total Artificial Heart replaces both native heart ventricles.